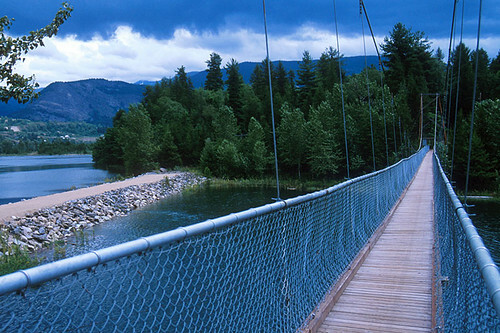 The Kootenays region of British Columbia incorporates the Crowsnest Highway (Highway 3), which winds its way through the Monashee Mountains and Selkirk Mountains between Grand Forks and Creston, Slocan Valley and Upper Arrow Lake (from Salmo to Galena Bay), and the North Kootenay Lake and Selkirk Valleys (from Kaslo on the west side of Kootenay Lake north to Galena Bay). 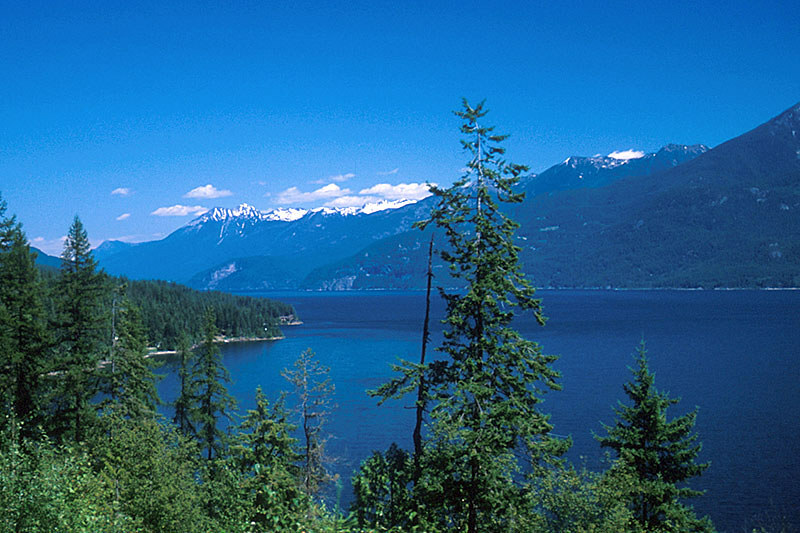 Two geographical features dominate the Kootenays region of British Columbia: mountains and water. 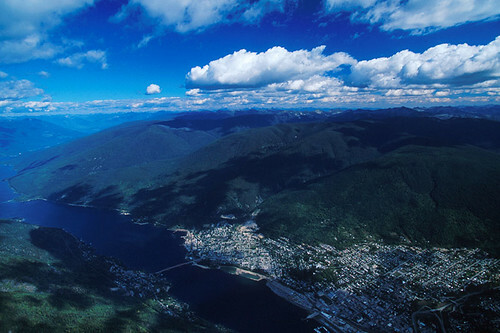 Four parallel mountain ranges, running in a generally northwest direction, march successively across the southeastern British Columbia landscape. The most westerly are the Monashees, followed by the rugged Selkirks, defined on their western flanks by the Arrow reservoir system and Slocan Lake, and on the east by the spectacular waters of Kootenay Lake. These two mountain ranges and accompanying lake systems define this district. 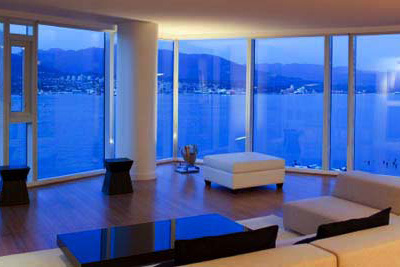 Farther east are the Purcells, then the Rockies, outlining the area known as the East Kootenays. 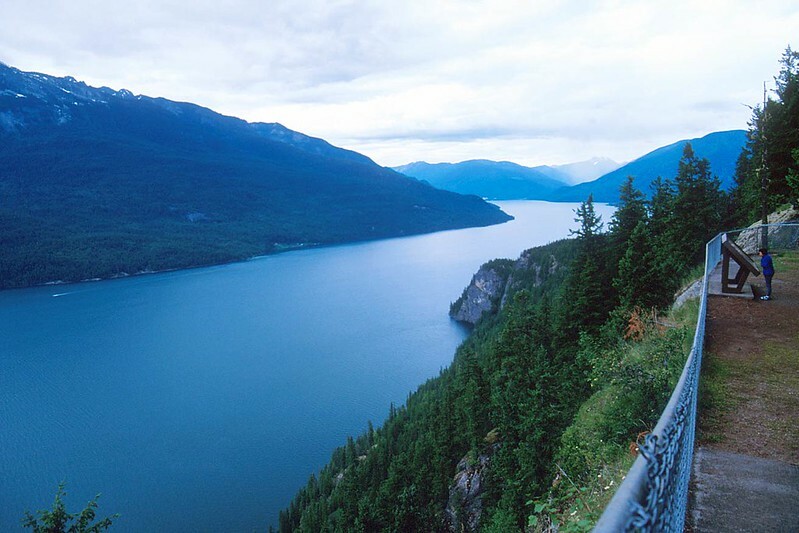 The other major north-south water system in this district is formed by Kootenay Lake (at more than 65 miles/105 km long, it’s one of the province’s largest freshwater lakes) and Kootenay River, which joins with the Columbia near Castlegar. The Crowsnest Highway east of Grand Forks provides a good introduction to the often steep terrain of the West Kootenays. Only intrepid travellers need apply to drive what is the highest-elevation paved highway in Canada, the Skyway. But you’ll want some time – and cooperation from the weather. Avoid this route during winter storms, particularly the stretch between Salmo and Creston, for avalanches are a fact of life, and road closures are inevitable. Alberta licence plates begin to appear more regularly in parks here; the Kootenays are almost equidistant from the Prairies and the West Coast. 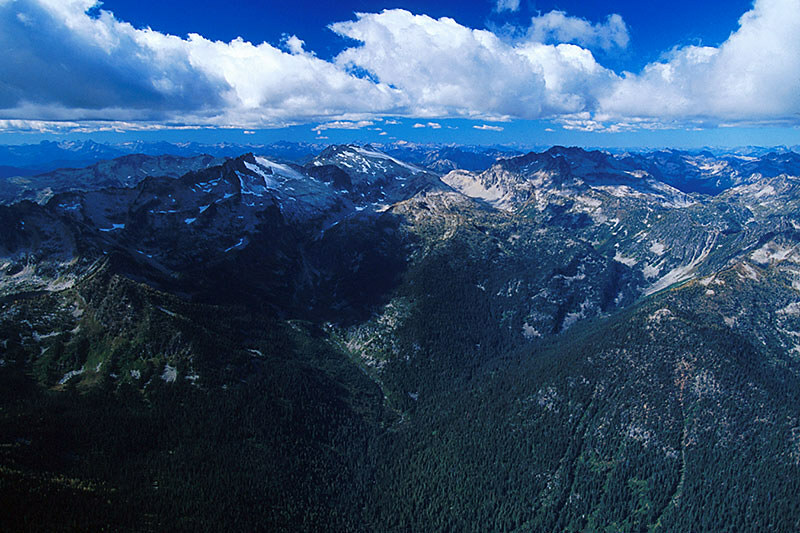 By their very nature, the Selkirk Mountains define this part of the Kootenays. Highway 6 links silvan Salmo with Highway 23 and stern-wheeling Nakusp, and forms alliances with branches of Highway 3 (Crowsnest Highway) to wrap all who journey here in a seductive embrace. 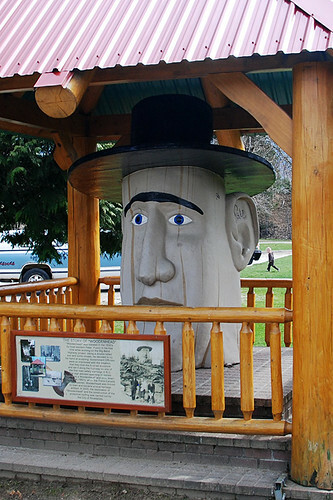 Love at first sight is the reaction of many visitors to the Kootenays. Two of British Columbia’s major mountain wilderness parks, Valhalla and Kokanee Glacier, are situated here. Cody Caves, a unique area of karst topography, also occurs here. (A karst is a limestone region with underground drainage and many cavities and passages caused by the dissolution of the rock.) Serrated, glacier-cloaked granite peaks dominate the landscape. 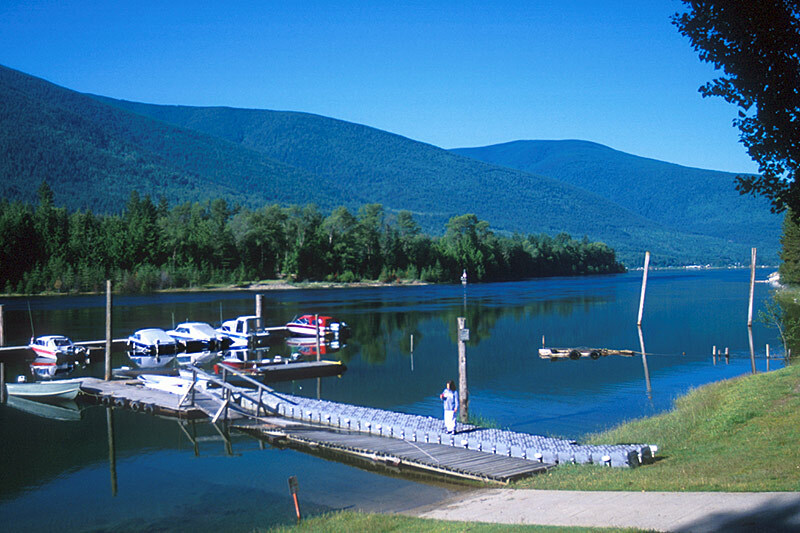 Huge lake-filled glacial valleys provide habitat for many kinds of wildlife and offer excellent opportunities for water-based recreation. The range of wilderness experiences offered throughout the West Kootenays is exhilarating and diverse. Hot springs, alpine meadows, spectacular winter recreation, wildlife observation, and photography are among the many reasons to visit. Throughout both the East and West Kootenay regions winds the majestic Columbia River, with its source in Columbia Lake near the town of Fairmont Hot Springs on the Rockies’ western slopes. The river flows north for over 186 miles (300 km) before hooking west and south to begin its long journey to the US border – more than 250 miles (400 km). For nearly half this length it widens to form the Upper and Lower Arrow Lakes, vast reservoirs of water that moderate winter temperatures and help retain moisture in the local atmosphere, thus greatly influencing the types of vegetation found there. The river crosses the border just south of Trail and passes through Washington to its mouth at Astoria, Oregon. The Kootenays wouldn’t be complete without at least a backroad or two for those travellers with a little time on their hands and an inclination to search out wilderness backpacking destinations and fishing holes. 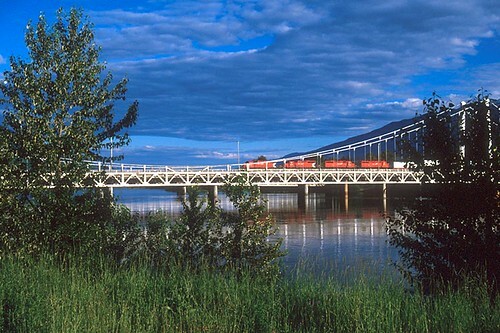 This route leads through the Lardeau and Duncan Valleys, which are hemmed in by the Selkirk Mountains. Steep-sided valleys force the peaks’ runoff into long, narrow lakes, from which fast-flowing rivers cascade south into Kootenay Lake. Dense stands of timber are constant reminders that here in the Kootenays, there’s still plenty of untouched wilderness to explore. About 100 years ago, prospectors came to the West Kootenays, attracted by its rich ore deposits. Mining ghost towns can be found now, silent relics of past treasures. Some backroad travel to these ghost towns will enhance your visit to this extremely beautiful region. Visitors can learn about the development and history of the area at mining museums in Kaslo and New Denver. 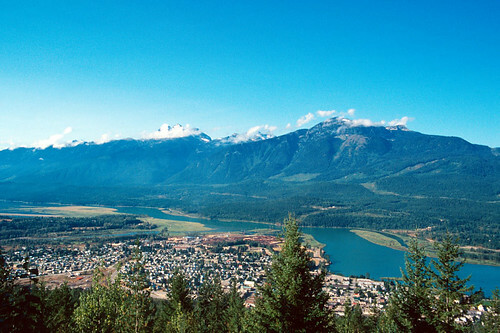 The following towns and regions are located in the Kootenays. Click on each name for information on the town or region. Location: The Kootenays region of BC is located in southern British Columbia, along the US border with Washington and Idaho. Travellers heading west on Crowsnest Highway 3 approach the Kootenays at Creston, just north of the British Columbia-Idaho border. 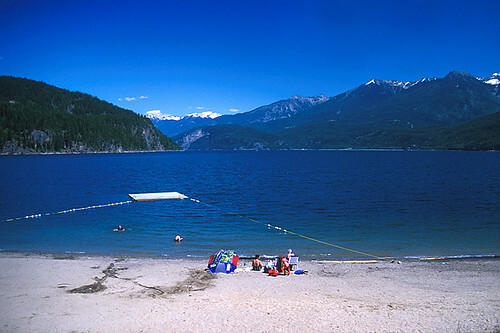 From Creston, Highway 3A runs north along the east side of Kootenay Lake to Crawford Bay, where a free ferry at Kootenay Bay links with Balfour on the west side of the lake. Travellers approaching from the north may use this route or Highways 3A and 6 to link with Highway 3. So convoluted does the highway become that branches of it spin off and feed into each other in a tight knot in the Nelson, Castlegar, Trail, and Salmo loop. Travellers journeying south from the Slocan Valley on Highway 6 link with Highway 3A north of Castlegar, site of the only airport in the rugged Kootenays. Travellers heading south from the Okanagan on Highway 33 join Highway 3 at Rock Creek. Highway 3 (Crowsnest Highway) leads west from Creston and east from Castlegar to Salmo. Highway 6 leads east from Vernon to Nakusp. 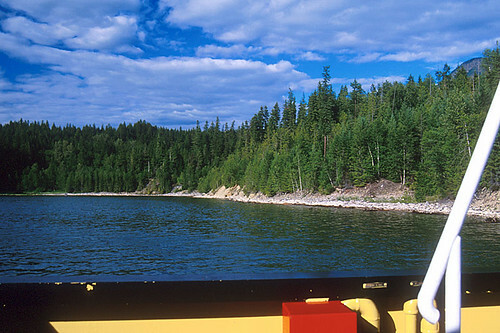 Highway 23 leads south from Highway 1 at Revelstoke to Galena Bay via the Shelter Bay ferry. Highway 31 leads north to Kaslo from the ferry terminal at Balfour on Kootenay Lake’s west side, and beyond to the ferry terminal at Galena Bay on Upper Arrow Lake. 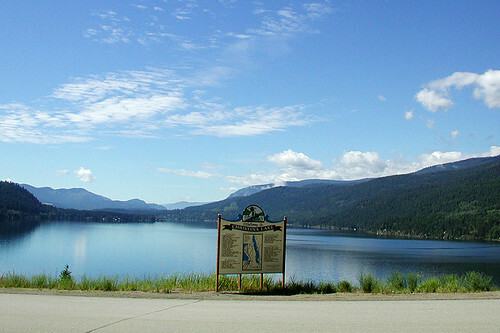 Highway 23 links Galena Bay with Nakusp to the south and Revelstoke to the north. 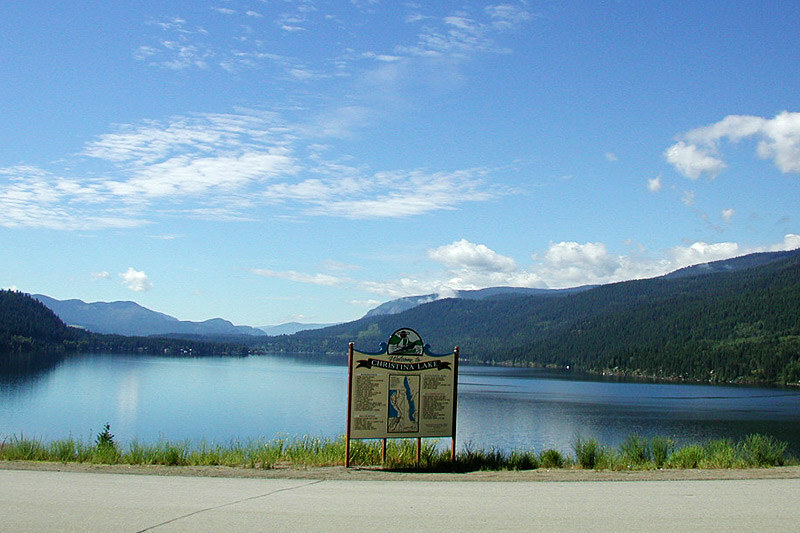 Highway 31A leads east to Kaslo from New Denver, on the east side of Slocan Lake. 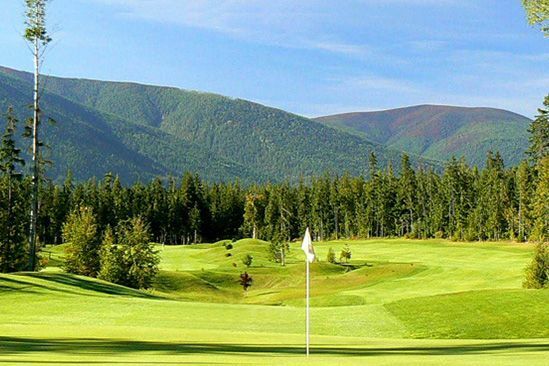 Outdoor Recreation in the Kootenays region of British Columbia. Parks in the Kootenays and BC Rockies.